MainAll NewsHaredi Community ‏Attack on Brooklyn Hassidic man case of mistaken identity? 62-year-old Lipa Schwartz brutally beaten in what appears to be case of mistaken identity. 'I'll never forget the trauma'. 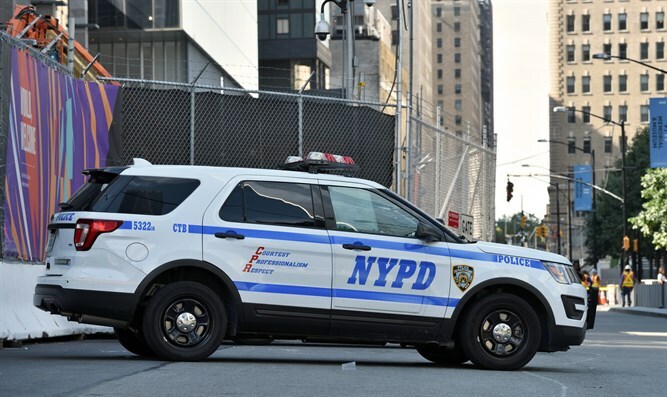 The vicious assault on a 62-year-old Hassidic man in Brooklyn was apparently the result of a case of mistaken identity. On Sunday morning, a taxi driver with a vehicle marked “Church Ave. Car Service” pulled up to the curb on Church Avenue in Brooklyn, next to a Hassidic man making his way to a nearby synagogue for morning prayers. In an unprovoked attack, the driver proceeded to beat the Hassidic man, while cursing at him in Arabic. The assailant was later identified as 37-year-old Farrukh Afzal of Staten Island. The victim, 62-year-old father of nine Lipa Schwartz, suffered light head injuries during the attack, and was evacuated to Maimonides Hospital. A passerby confronted Afzal, forcing him to flee. Members of the local neighborhood watch group, the Shomrim, were notified of the attack and helped detain Afzal until police were able to take him into custody. According to CBS2, the attack was a case of mistaken identity. Afzal had apparently been involved in a traffic accident with another Hassidic man just prior to the attack, and mistook Schwartz for the man involved in the traffic incident. Seeking revenge, Afzal spotted Schwartz while looking for the man involved in the accident. Speaking with reporters Sunday evening, Schwartz recalled the assault, and his attempts to flee Afzal. Schwartz said he was lucky Afzal was unarmed at the time of the attack, saying that the assailant was so enraged during the assault, that he would likely have stabbed Schwartz if had been able to. “I’m telling you if he had a knife he would stab me right on the place [sic]. No doubt,” Schwartz said. Schwartz was later released from the hospital. “Baruch Hashem I’m out of the hospital with some minor bruises,” Schwartz told Boropark24.